Previous events in this popular series have brought together international delegates from more than 28 countries to share the latest research, knowledge, ideas, innovations and current developments within emergency nursing and healthcare in both the developed and developing world. The conference is of interest for all those involved in the delivery, development and organisation of emergency nursing, trauma care, paramedical and medical sciences. The 1st Global Conference on Emergency Nursing and Trauma Care, launched in Dublin in September 2014, brought together more than 350 international delegates to share the latest research, knowledge, ideas, innovations and current developments within nursing and healthcare in both the developed and developing world. The 1st Global Conference on Emergency Nursing & Trauma Care Winner: Best Overseas Launch. 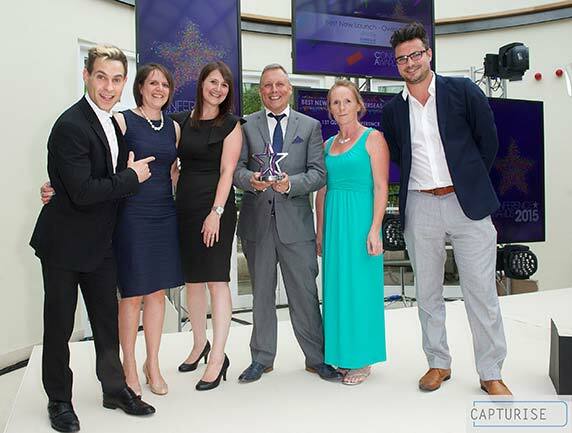 The 1st Global Conference organising team from Elsevier collecting the award for the Best Overseas Launch at the 2015 Conference Awards.